If you are looking for a hostel for your group which is slap bang in the centre of Sydney, then Sydney Central YHA is the one for you. The hostel specialises in groups from school parties through to sporting and cultural groups travelling to Sydney. With a multitude of attractions close by and personalised itinerary booking service, this hostel is an ideal option to take the stress out of planning your adventure. Need some help preparing your group trip itinerary? Then read on, get inspired and plan the most memorable experience for your group. No trip to Sydney is complete without a stroll across the city’s famous ‘coat hanger’, aka the Sydney Harbour Bridge – it’s free. If you can’t afford to take in the views from the top of this Sydney icon on a Bridge Climb, you can still enjoy some of the best views in town from the Harbour Bridge Pylon Lookout and Museum – it’s less than A$10 for HI members. Discover Sydney’s history around the alleyways of The Rocks. The city’s oldest neighbourhood, which lies between Circular Quay and the Harbour Bridge, is like an outdoor museum. A walking tour or ghost tour will really bring The Rocks’ colourful past to life, including its indigenous heritage and the colonial days of convicts, murder, bootlegging and the plague. Enjoy the sun, sand and surf and hang out with the beautiful bodies and board riders at Bondi Beach. Sydney’s best-known beach is the perfect place to learn to surf and discover laid-back beach culture. Over summer there is also an Open Air Cinema by the beach. From ‘snags’ and ‘roo burgers’ on the barbecue to gourmet cuisine and world class wines, Sydney has lots of ways to taste great Australian food. Try kangaroo, emu and crocodile pizzas at The Australian Heritage Hotel. The Fish Markets are a must, and if you visit in October, the whole month celebrates Good Food Month, with international chefs, night markets and tasty pop-up events all over town. Sydney is a mecca for events celebrating everything from comedy and coffee to food and film. Catch the multi-event Sydney Festival in summer, Mardi Gras, Sydney Biennale and mid-year favourite, Vivid – the Southern Hemisphere’s biggest music, light and arts extravaganza. One of the best ways to see the city is to get out on the harbour and there are plenty of options. Prepare to get wet on a thrilling jet boat ride, take it easy on a gentle harbour cruise or live like a local and take a ferry to Manly, Taronga Zoo or Watson’s Bay from Circular Quay. See inside one of the world’s greatest buildings on a Sydney Opera House Tour. 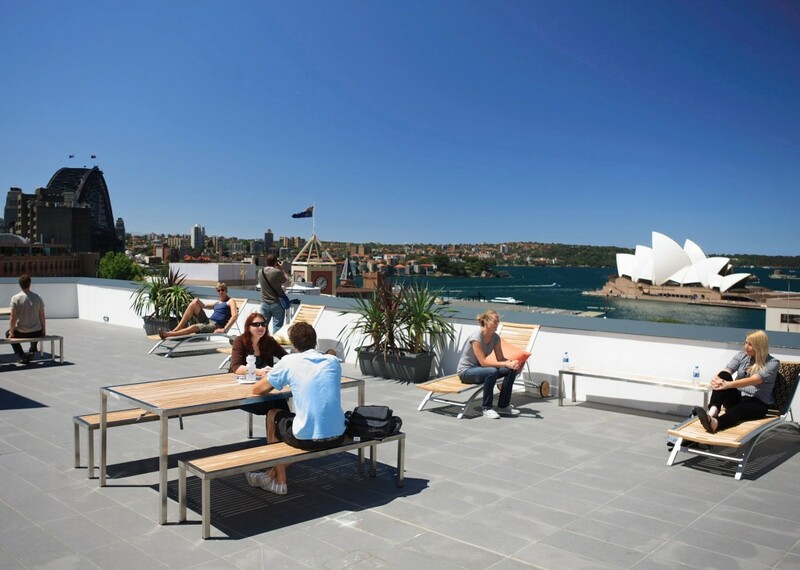 Learn about its unusual design and construction, take in a show, splurge on high tea or just relax with a cocktail at the Opera Bar and take in the views as the sun sets. You can often get last-minute discount tickets at the box office for performances on the day. Head down to Darling Harbour where you’ll find Sydney’s wild life and sea life side by side – visit Sydney Aquarium and Sydney Zoo and experience equally thrilling encounters. Here you can meet some of Australia’s favourite cuddly animals and creepy crawlies. Come face to face with sharks and rays, hold a koala or a snake, walk among kangaroos and meet Rex, one of the world’s biggest crocodiles. Afterwards, go next door and visit the world’s first fully interactive Madame Tussauds, with famous faces from world sports, entertainment, politics and history. Save money with a Combo Pass, giving you entry to all three attractions, available from your Sydney YHA. Get a bird’s-eye view of Sydney from the tallest building in the city. Standing at 250 metres tall, the Sydney Tower Eye offers stunning, uninterrupted 360 degree views of the city, its famous landmarks and the harbour. Included in your entry (or Combo Pass with the three attractions above) is the 4D Cinema Experience – a ground-breaking 3D film with spectacular in-theatre effects including wind, bubbles and fire. If you’re brave, you can splurge on the open-air Skywalk while you’re here. With parks, native bush, national parks and hundreds of bays and beaches lining the harbour, Sydney offers lots of easy and beautiful walks by the water. Our pick? Walk all or part of the unmissable Bondi to Coogee coastal walk. Running 6km along cliff tops, past beaches, parks, rock pools, million-dollar mansions and ‘the most scenic cemetery in the world’, the route gives you awesome views and plenty of opportunities to break up the 2-hour walk with a swim, paddle or rest at local cafe. In late October/early November, the section of the walk between Bondi and Tamarama hosts weird and wonderful outdoor art for the annual Sculpture by the Sea exhibition. Don’t forget a hat and a sun cream. Have you got any other tips for seeing Sydney without breaking the bank? Let us know in the comments box below! Are you planning to tour around the country? 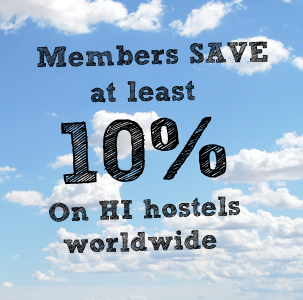 Then discover all our Australian hostels suitable for groups here.